Production Time: 5 business days - Keep any beach volleyball game going with this inflatable beach ball! 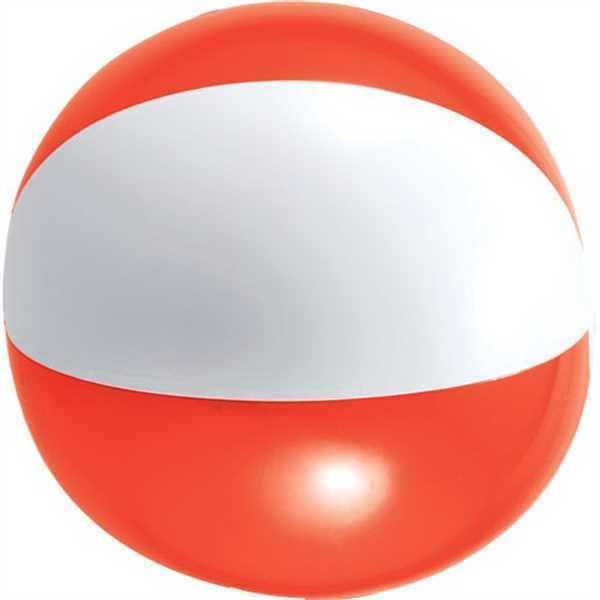 Measuring 15'' this ball includes a no leak valve allowing you to play games in pools or the ocean! This is the perfect item for pool supply stores, beach parties or any promotional event! This beach ball is made of polyvinyl chloride and comes bulk packed for your convenience. This ball is available in various colors for you to create a truly personalized item!